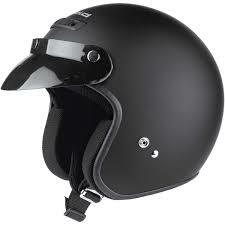 The Complete Motorbike Helmet Guide! Motorbike helmets are an essential piece of motorbike gear to keep your noggin intact and your chin stuck to your face, and like bikers all helmets are vastly different. 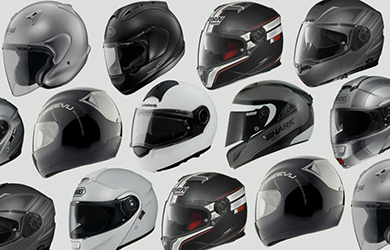 Whether you’re a hard-core Harley rider, a speed demon sport bike rider or a laid back cruiser there is a helmet to suit your style and your needs - here is our complete motorbike helmet guide. The first question you want to ask yourself is whether you want to go for a helmet that covers your full face or leaves it exposed. The obvious difference between the two is the protection it offers, if you’re a safety first kind of person a full face helmet is for you, a high quality 5 star sharp rated helmet with a full visor and chin protection will keep your face gravel free if the worst should happen. If you’re more of a risk taker that doesn’t want to sacrifice style for safety maybe you’ll go for an open face helmet, these are more popular with the riders of cruisers, hogs and café racers, open face helmets have an old school cool feel about them that might be right for you. 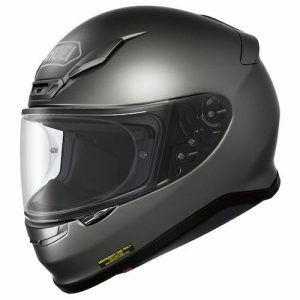 With an open face helmet you’re going to need a good pair of glasses or goggles as the lack of a visor leaves your eyes open to bug attacks, gravel flying up off the road and all other manner of debris that comes your way! What do I need to look for in a helmet? 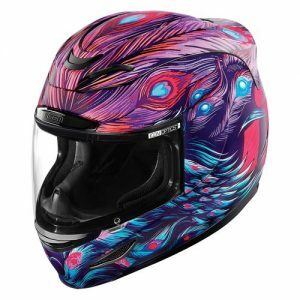 You know the style of helmet you’re looking for and you might have a couple of models in mind, but before you make that purchase there are a few things you need to consider! Safety, safety, safety! It might start to sound like a broken record by the end of this article but it is the number one thing to consider when picking your helmet. Look at Sharp ratings, EU and UK safety legislation, it’s essential that you check and double check that your helmet meets all of these criteria before you buy it. In terms of the open face vs. closed face argument it’s always recommended that you wear a closed face helmet at all times if you want optimum safety. Make sure it sits snuggly (but not too snug) to your head. When you’re in the shop picking a helmet, try it on and don’t take if off for a while, yes you might feel a bit silly but it’s the best way to make sure you’ve found the perfect fit. A helmet shouldn’t move around at all when you turn your head, if the padding does move it is definitely too big for you! In another case of sacrificing a bit of style for safety the colour of your helmet is very important. Yes we know full black leathers and a sleek black helmet looks very, very cool but it’s pretty dangerous. We aren’t telling you go out and buy a bright orange helmet but something like a reflective strip or a funky pattern will make you stand out more to other motorists on the road. The last thing to consider is comfort and ventilation, on a hot, humid summer’s day you don’t want to be sweating it up inside of an unventilated helmet not to mention the dangers that come with the visor steaming up! You need good airflow to keep cool but also the option close it up when the inevitable great British weather takes a turn for the worst..
Moving on too full face helmets and there are so many different styles to choose from, whether you want a bright colourful fashion helmet, a sleek plain no frills helmet or even a funny helmet there’s one for you!